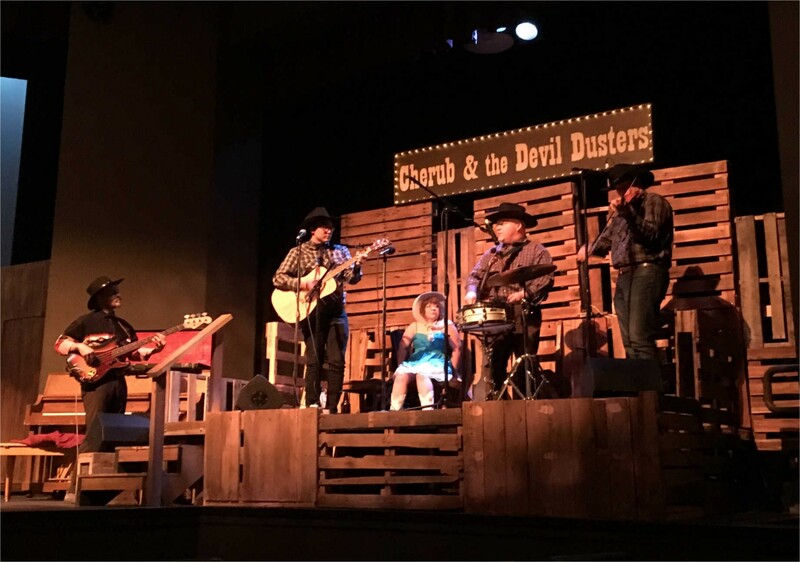 Faculty participants in The Search for Common Ground attended a production of San Joaquin Blues, a play about life in the Central Valley, in order to create curricular units on the performing arts in region. Image courtesy of Modesto Junior College. Modesto Junior College (MJC) used an NEH grant to integrate the local history and culture of California’s Central Valley into its humanities curriculum, with a focus on the migrant, refugee, and low-income communities from which many of the college’s students hail. Over the course of two years, faculty at MJC developed and tested 27 instructional modules that have been shared across the region and are now being used in classrooms. The new curriculum has drastically improved student outcomes and the teaching culture at MJC, as well as fostered new partnerships among the region’s universities, colleges, and businesses. Faculty and student participants in The Search for Common Ground. Over the course of two years, faculty at MJC developed and tested 27 instructional modules that have been shared across the region and are now being used in classrooms. Image courtesy of Modesto Junior College. To develop the curriculum, MJC held seven seminars and sponsored a final conference for faculty, bringing in expert lecturers from around the country. More than 100 faculty members from MJC and eight nearby colleges and universities took part in the program, including California State University Stanislaus, University of California Merced, University of the Pacific, and University of California Berkeley. MJC is now partnering with other public institutions to create combined degree programs that focus on the study of the Central Valley. And in Modesto, local organizations have welcomed the college’s interest in the region’s arts and culture; a non-profit (Fourth World) and local restaurants have even begun to sponsor humanities mealtime conversations, providing free books and gourmet meals to college students and their families.